Why Should Quality "Go Global"? We were privileged last week to have with us at ASQ Headquarters in Milwaukee representatives from our global offices in India, Mexico, and China, and our partner organization in Brazil, Quali. It is a rare treat to get nearly the entire global team together– we also have an office in the United Arab Emirates serving the Middle East and North Africa region–and it is cause for a few minutes of reflection on our global posture. The first question that may occur to some is, why? Until our rebranding in 2010, we were the American Society for Quality. Why do we need to be spread out around the world? Today I want to discuss ASQ’s reasoning for “going global,” but also to note the importance of making information about quality global in scope and available to all. First, before we did the first thing to be global, we already were. Some may consider quality as proprietary—that is, knowledge used by a nation to increase its competitiveness in the world. 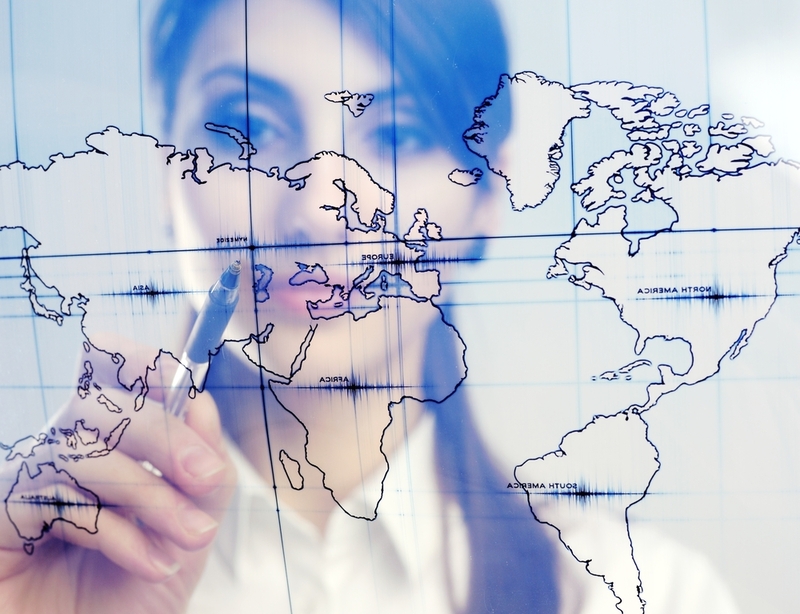 However, at ASQ, we have had many members all over the world years before we opened offices outside the U.S. In fact, I suspect from almost the very start ASQ had members who lived outside of North America. The ideas, the passion for quality, the networking, and the tools were attractive to those who found themselves seeking like-minded quality professionals from many different industries and businesses. So even if we had NO plans to expand our membership globally, we would still be global. Given that, we have an obligation to serve our global members. We want them to feel welcome, supported, and listened to. In some cases that meant we needed a presence on the ground to better understand and serve their needs. Second, the quality knowledge our members want and need cannot be bounded by borders. If the Quality Body of Knowledge® is to have any value to our members, it must transcend national borders. Where is quality making the biggest impact in the healthcare world today? The U.S.? India? Canada? Wherever it is, members of the quality community are hard at work, using quality in ways tried and true and ways new and innovative, and our members want to learn from them, wherever they are. The QBoK® is not a fixed, stagnant resource. It is constantly growing and changing, and that evolution is happening from the auto industry in the Czech Republic to the energy industry in China and dozens of different fields in a hundred different countries. To grow that knowledge, to give our members access to ways quality is making the world a better place, we have to be out in the world. 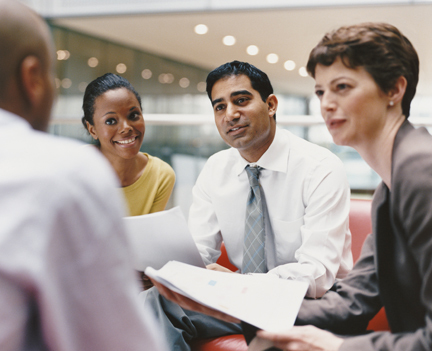 Third, ASQ is like any other business in one important respect: grow or perish. It’s that simple. There is no such thing as a benign status quo. We have to grow means, influence, and members. Our members themselves demand it, our board demands it, and the quality community throughout the world demands it. Our global partners don’t fear our growth–most of them welcome it because they grow along with us. If we are to thrive for the next fifty years, we must achieve an acceptable degree of growth and the evidence is very clear that a significant portion of that growth must come from global markets. (Note that globalization is the one force that has appeared in every edition of ASQ’s Future of Quality study since 1996.) We know we must attract more young professionals to quality, and to an ever-increasing degree, demographics tell us those young professionals will come from outside the U.S. This month my question to you is: ASQ’s mission statement talks about increasing the use and impact of quality in response to the diverse needs of the world. Are we doing enough, throughout the world, to accomplish that mission? I like what I am reading, and we should be able to have some standardization in the industry we work in. This also will help everyone involved in quality to be on the same page. If ASQ is earnestly looking for opportunities to improve as a global leader in quality, or its responsiveness to needs of the world, it would be advantageous for ASQ to examine the effectiveness of its leadership in regard to ISO 9001, an international standard for quality assurance. 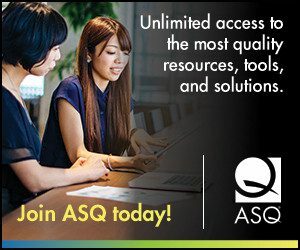 If ASQ earnestly wants to improve in this regard–as it should–an obvious source of improvement immediately presents itself: ASQ should take a long, hard, honest look at its performance promoting basic principles of quality management underpinning ISO 9001, most notably the principle of the process approach. This source of improvement opportunity has long been overlooked to the detriment of organizations all over the world relying on ASQ for good information about ISO 9001 (and the process approach). Certainly ignoring or discarding this obvious opportunity for improvement won’t further ASQ’s mission to promote quality. I understand that Quality is global requirement. This requirement was understood and hence systems and certifications very introduced. Today, we find around 98% of the companies are certified to Quality Management System. We need to introspect on the effectiveness of these certificates to the organisation for its improvement or these certificates have become a display material. When ASQ looks at global, how ASQ can handhold and improve the quality of certifications interms of capacity and capability. This will aid ASQ to achieve its mission and transform for better quality. A topic near and dear to my heart ! The quality field brings such benefit to organizations, it should not be ignored. I wholeheartedly agree that quality should go global. In doing so, I believe there are four very important challenges that need our attention. First, although quality professionals appreciate the tangible results that quality delivers there is relatively low awareness (10%) of such amongst the working population. The topic is not included to any great extent in school or professional development and certification programs. By encouraging the adoption of quality curriculum in more education and training programs, we can increase awareness. With awareness, there will be understanding and with understanding there will be adoption of quality approaches, tools, and techniques. Second, there is increasing fragmentation in the quality sector. We have professionals promoting their particular sub-sector as the solution to organizational issues (e.g. ISO, Lean, Six Sigma) and countries promoting and recognizing organizations for implementing their particular QMS or excellence model (e.g. Malcolm Baldrige, EFQM, Canadian Framework for Excellence). Such fragmentation creates confusion in the marketplace and sets the stage for organizations to adopt other approaches that do not deliver long term sustainable results. We could really gain some traction if we had a global excellence model that created an umbrella under which all quality genres fit and that all quality genres, professionals and organizations could promote with one united voice. Third, adoption of quality in any organization is very dependent on the will of the leader. To influence the leader, quality professionals need to speak strategically and demonstrate how quality will contribute to the vision, mission, and goals and objectives of the organization. This strategic approach might best be accomplished by merging what we know in quality with what we know in management consulting. 86 countries promote the use of an excellence model, offer training programs and host award programs that recognize best in class organizations in their jurisdiction. While most use the EFQM model (40), many use the Malcolm Baldrige model (17) and the remainder use a combined model or their own unique model. Organizational Excellence Technical Committee (ASQ) supports and promotes the use of international excellence models to help all organizations attain higher levels of performance. Currently, there are 77 countries represented on the committee. BPIR.com is a leading internet-based benchmarking and best practice information and networking service for improvement-focused individuals and organizations. Together with the Centre for Organisational Excellence Research (http://www.coer.org.nz/), that does leading edge research around the world, these organizations host the International Best Practice Competition. Global Benchmarking Network (www.globalbenchmarking.org) is a global network of organizations and experts focused on promoting and facilitating the use of benchmarking and sharing of best practices. Annually, this network hosts the International Benchmarking Competition that recognizes best in class organizations from countries around the world. Organizational Excellence Specialists (http://organizationalexcellencespecialists.ca/) has developed a publication and consulting toolkit for the practitioner. The publication merges ‘what we know in QMS’ with ‘how we implement it in management consulting’. The toolkit includes a ‘technological platform that automates’ the assessment, improvement planning, and reporting process and ‘collects big data’ that can be used to gauge organizational excellence by industry sector and geographical region. It is applicable to any excellence model used in the world today and encourages organizations to apply for the national excellence award in their country. Numerous consulting and training organizations and quality associations help to promote quality, offer training programs and implementation assistance to organizations, and host conferences. In closing, these four challenges can be addressed quite easily if we have the will to work collaboratively towards a common aim. Each participating organization can continue to do what it does best and the quality movement can be further strengthened by our collective efforts. As with any other initiative, one organization will need to lead the charge. ASQ is proactive in asking the question ‘Why Should Quality Go Global’ and might be well-suited to leading the charge. Uunderstanding global is thinking that we are all equal and that nobody is more important. Unless we think in this was differences will make thinking globaly an utopia. Interesting and valuable commentary this month. Two messages: “Quality is Quality” and “Quality is Global”. Thank you Bill Troy for your quality leadership here and your support of globalization. Keeping the QBOK vibrant, dynamic, and growing and free to all is important to maintaining ASQ credibility as a World Leader in quality knowledge. A better understanding of the concern for quality fragmentation is critical to maintaining ASQ credibility. None can argue with the value of organizational excellence, operational excellence, and professional excellence; however, at the end of the day, the prize is really the enterprise’s product with features the customer desires and is reasonably free of defects. What if we have great organizations, great operations, great people and the product quality did not meet customer needs? Ensuring current and new quality professionals continue to see the link between excellence and performance and the quality of the product is vital. An education in quality for many has been a “self-learning” experience where the quality professional needed to seek out learning opportunities reading books, attending conferences, and pursuing certifications. Understanding how self-learning is performed by younger workers may be key to securing their participation in ASQ as a resource. In addition to ASQ global presence “on the ground,” a even greater impact may be from offering self-learning through the internet environment. There are definitely a variety of details to take into consideration. This is a nice point to write about.